Everyone is going into the cloud. We use the cloud every day. Twitter, Facebook, and Netflix all use the cloud. Law firms are jumping on the cloud at an exponential rate. 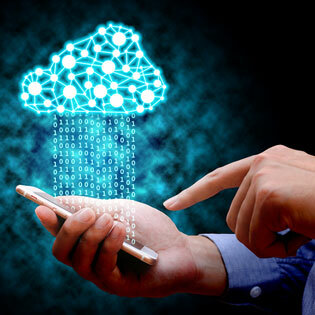 The cloud protects data, diminishes cost for IT, performs secure data backups, and has a solid reputation for data recovery. What’s not to love? The question is not if your law firm should join the cloud, but the choice of cloud service provider you want to handle your data. There are common mistakes law firms make when looking for a cloud service provider. Below is a list of mistakes to not follow when you decide who the right provider is for your firm. Do not get caught up on the location of your cloud service provider. It is more important that the provider has a solid reputation, has been in the market for a good period of time, and they have all the services your firm requires. The cloud is not location dependent, and some places do not want their data stored in the same location as their own offices. This is in case of a natural disaster that may affect both the law firm and the cloud provider’s data center. Realistically, if a natural disaster was that big, then there are probably no offices to go back to. The cloud moves data at all times. Find out if the data is safe regardless of where it is geographically located. Find out if the cloud service provider works with law firms, and if they know the criteria for storing data in your state. Just because a cloud provider says they can manage your account does not mean they are truly experienced with compliances law offices deal with. For added peace of mind, you can contact the local bar association and find out if they have had any issues with that particular cloud provider. We are always looking for a good bargain, but in the cloud you really do get what you pay for. Finding a quality service provider that meets all the criteria above is ideal, and it can save you headaches later on. This is an investment for your business, and you do not want to have to do it again if you do not have to. A good provider will have the ability to grow with you no matter how large your law firm gets. Take a little responsibility when looking for a cloud service provider. Do the necessary research and ask a lot of questions. Keep your focus on whether the company can meet your needs and provide the service according to the contract. Start your quest now, contact TOSS C3 for your first consultation.